I've already blogged at length about my own personal good times with this cd... (see here). 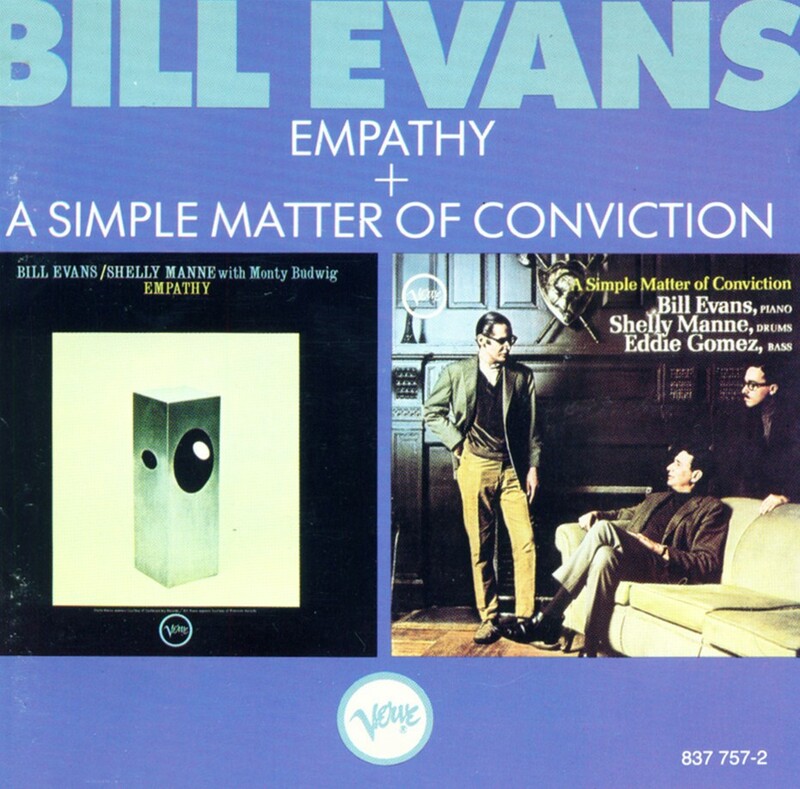 The bottom line is it's real nice, no - it's awesome, to hear Bill Evans just having fun, playing well, and indeed enjoying the 'empathy' that he and drummer Shelly Manne share for this session. Manne is on top of his creative game, and Monty Budwig lends ample support and buoyancy. My cd copy is paired with "A Simple Matter of Conviction" - Eddie Gomez's debut, also with Manne, and it has many wonderful moments; but it's 4 years later, and that hipty-hopty high energy (cocaine?) is starting to creep in to Evans' playing - something that would escalate for the rest of his career. I have the sessions separated in my pc jazz folder, and hit up "Empathy" way more. As the author Peter Pettinger put it: "On Empathy...Evans was having a night out and enjoying the change. Shelly Manne, too, had a ball, interacting constantly and prompting Evans into more clipped exchanges than usual, while Monty Budwig lent clean, rich-toned support." (from book "How My Heart Sings").